WASHINGTON — A number of proposals on the table in Virginia would expand gambling to include casinos and sports betting, and Gov. Ralph Northam pronounced himself “open-minded” on the subject, proposing a commission to examine the impact. 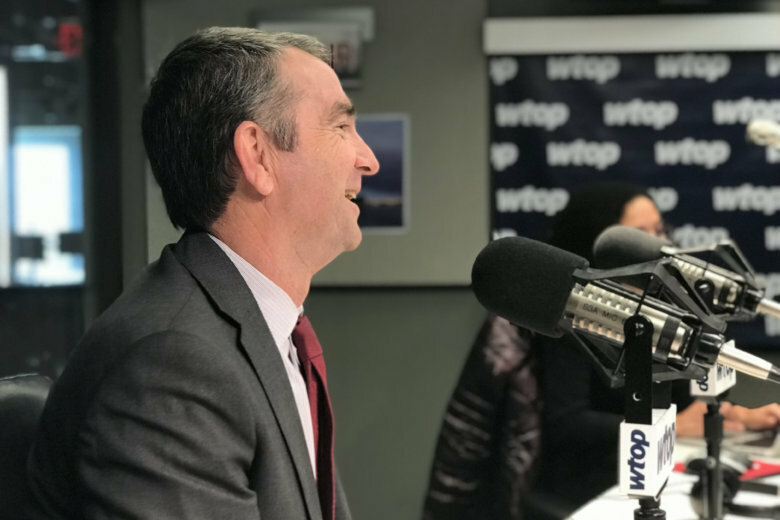 Speaking Wednesday with WTOP on his monthly “Ask the Governor” appearance, Northam said of gambling, “you’re gonna hear a lot more about it” when the General Assembly reconvenes in January. Casinos have been proposed for the Hampton Roads and Bristol areas, and at least two bills would establish legal sports betting in the commonwealth. Virginia is one of only 11 states in the U.S. without a casino — Maryland has 6 — and Maryland and D.C. are considering various forms of legalized sports betting. Northam said from a revenue standpoint if nothing else, those ideas had to be considered. The special master tasked with drawing new maps has not been told by the Supreme Court to stop working; Republicans are looking for a stay. He wanted districts to be drawn “fairly, so that we can get rid of the gerrymandering” that can produce results that can look very different from the statewide vote. In 2017, Virginia’s aggregate popular vote went to the Democratic Party 53 percent to 44 percent, while the Republicans won 51 seats to the Democrats’ 49. On last month’s “Ask the Governor,” Northam was cautiously optimistic about Northern Virginia’s chances at landing Amazon’s second headquarters; since then, Amazon picked the Alexandria and Crystal City area, along with New York, as a site for their new headquarters, bringing an estimated 25,000 jobs to the region. Northam said that Amazon’s selection was “something we should all be proud of.” He said he was only informed on the afternoon of Nov. 12 of the selection, which was announced the next day. “They kept their cards pretty close,” Northam said. Virginia’s offer to Amazon wasn’t the most lucrative, but Northam called it “a very innovative package, that was both modest and disciplined,” and said it was focused on workforce development, transportation and infrastructure, and affordable housing – things that needed to be done whether Amazon was coming or not. He cited the deal for dedicated Metro funding, and the region’s follow-up, as a critical factor in the deal, as well as a $225 million investment in affordable housing, as examples of bipartisan cooperation that wrapped it up. The Crystal City area was hit especially hard by military realignment and other changes, and Northam called the Amazon agreement “transformative for the Crystal City area.” He added that “no region should be dependent on one industry,” and emphasized the importance of “diversifying the economy” – which he also said would be important in weathering any potential federal government shutdowns, such as the one looming Dec. 7. The federal government released a report last week that documented the effects of climate change and predicted conditions that could threaten Virginia’s ports, coastal real estate and agriculture. President Donald Trump has said he doesn’t “believe” in the predictions, and has in the past expressed skepticism that climate change even exists. Meanwhile, his administration has been rolling back environmental protections which it finds unfriendly to American business. He added that Virginia was committed to weaning itself off fossil fuels and environmentalism, saying that state had committed to produce 3,000 megawatts of renewable energy over the next three years – enough to power 750,000 homes. He added that his administration is using Volkswagen settlement money to open charging systems, and that his new budget proposal will have “a significant investment in conservation” – up to 2 percent of spending. That said, Northam has gotten crosswise with a number of environmentalist groups with his actions surrounding a pair of planned natural gas pipelines that would crisscross Virginia. Most recently, Northam removed two members of the State Air Pollution Control Board after the citizen review board delayed a key vote on whether to allow a natural gas compressor station in a historic African-American community. Their terms had expired in June, but The Richmond Times-Dispatch reports more than 230 people with expired terms are still serving on Virginia boards and commissions. The new members won’t be seated until after the vote is taken next month. The Associated Press and WTOP’s Jack Moore contributed to this report.